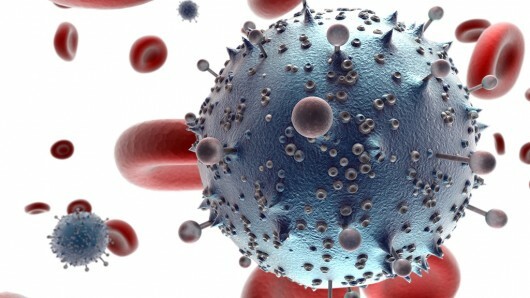 A radical gene therapy to combat HIV using genetically modified cells that are resistant to the virus has been declared a success by scientists following the first clinical trial. The treatment, which has never been tested on humans before, raised patients’ defences against HIV by replacing some of their natural immune cells with GM versions. Tests on people enrolled in the trial found that the disease-resistant cells multiplied in their bodies. Half of patients were taken off their usual drugs for three months and scientists recorded reduced levels of the virus. Scientists were cautious not to draw strong conclusions from the small scale trial, which was designed to assess the safety of the therapy, but the early signs have raised their hopes. A few shots of modified immune cells, or perhaps even one large infusion, could become an alternative for HIV patients who currently face spending the rest of their lives on antiretroviral drugs. But Levine said any improvement in the patients’ health would be welcome, even if the therapy had to be used alongside existing treatments. “People diagnosed in their 20s are on antiretroviral therapy for the rest of their lives. There are side effects. People miss days. And there is drug-resistance. This is a continuing problem,” he said. “Cure is a four letter word. We don’t like to use it, particularly with HIV. We are looking at improving the health and immune function of people with HIV,” he added. The therapy mimics a rare but natural mutation that makes about 1% of the population resistant to the most common strains of HIV. To infect cells, the virus must latch on to proteins that poke up from the surfaces of the cells. But people with the mutation lack the right protein, called CCR5, so HIV cannot get inside their immune cells. The trial centred on 10 men and two women, aged 31 to 54. All were HIV positive, and had been diagnosed between three and 23 years ago. The scientists began by collecting white blood cells from each of the HIV patients. They then used a procedure called gene editing to modify the cells, so that they carried the rare mutation that makes people resistant to HIV. Finally, they multiplied these cells in the lab and infused a batch of 10 billion back into each patient. At the start of the trial, all of the patients were on standard antiretroviral therapy. But after infusing them with modified immune cells, six were taken off their usual drugs. As expected, the amount of HIV virus in their bodies began to rise. But as the freshly-injected immune cells multiplied and circulated, they pushed levels of the virus back down again. Two of the patients were put back on their usual drugs early, because their HIV came back very quickly. But the remaining four showed improvements. In one patient, levels of HIV fell so low they could not be detected. The scientists later found out that he had inherited the rare resistance mutation from one parent, but not the other. “That effectively gave his immune system a head start,” Levine said. As expected, the infusions led to a rapid rise in the number of immune cells circulating in the patients, but the number of modified cells fell over time, halving roughly once every year. But in patients taken off their drugs, the modified cells fared better than their natural immune cells, presumably because they were more resistant to the virus. Some of the modified cells have lasted for several years. The trial has been running since 2009. All of the participants in the trial are now back on antiretroviral drugs. Scientists have been excited about the prospect of genetically modifying patients’ immune cells to make them resistant to disease since doctors effectively cured an HIV patient in 2008. Timothy Brown, also known as the Berlin patient, had a bone marrow transplant to treat his leukaemia. Spotting their chance to treat both conditions, his doctors found a donor who carried the rare mutation that made their immune cells resistant to HIV. Immune cells are made in the bone marrow. Since the operation, Brown has had no detectable level of HIV in his body and no longer takes anti-HIV drugs. Bone marrow transplants are risky operations and cannot be given to everyone with HIV. But modifying patients’ immune cells might be the next best thing. One shortcoming of the latest therapy is that the patients still make normal immune cells, which can and will be infected by the HIV virus. Levine said one hope for the future was to genetically modify stem cells in the patient’s bone marrow that grow into immune cells. Those patients might then produce a steady flow of resistant immune cells, leaving HIV nowhere to hide. The World Health Organisation estimated that in 2012, 35.3 million people globally were infected with HIV. Some 2.3 million became infected that year, with more than 1.5 million dying from Aids-related causes. Around 100,000 people live with HIV in the UK, though an estimated fifth are undiagnosed and do not know about their condition. The latest treatment was not without its problems. Writing in the New England Journal of Medicine, the authors report a total of 130 mild or moderate side effects, 32 of which were linked to the modified cells rather than the infusion procedure. The most common reactions were fever, chills, headaches, muscle and joint pain. One patient was taken to the hospital’s emergency department after falling ill. The scientists note too that the patients’ body odour took on the smell of garlic, a consequence of them breaking down dimethyl sulfoxide, used to preserve the genetically modified cells. The results of the trial were welcomed by other scientists. Angus Dalgleish, an expert in HIV at St George’s hospital in London, who was not involved in the study, said the cost of antiretroviral drugs over a patient’s lifetime, and the side effects some patients face, meant there was a real need for an alternative therapy. “Anything that will prevent patients being on drugs the whole time, that allows you to manage the infection without those drugs, is a serious contender,” he said. The research team now hopes to begin larger trials to see how well the therapy works in more patients, and to test the benefits of different doses. George Church, a geneticist at Harvard University said that the Pennsylvania team’s therapy was “very important” because it showed that gene editing could be used to help large sections of the population. He and others are working on new forms of gene editing that could allow more precise genetic modification of human cells.